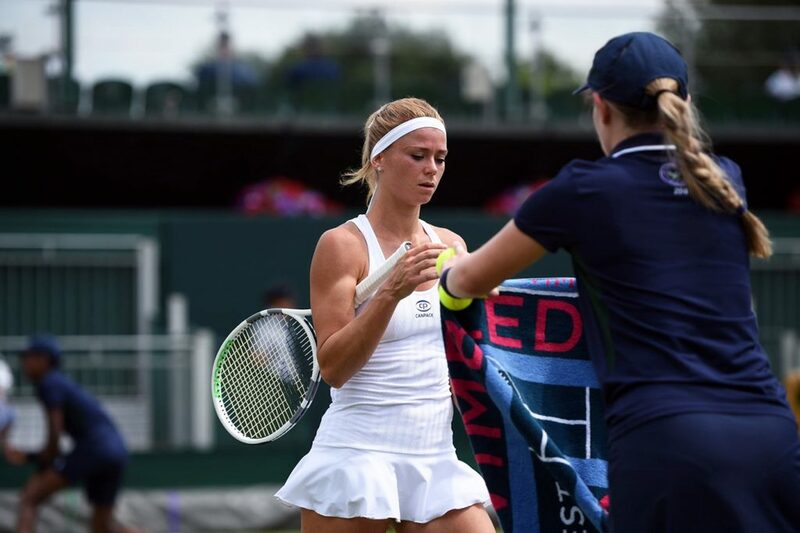 The most prestigious tournament in the professional players circuit of the International Tennis Federation, Wimbledon is the talk of the town in the last week of June and the first couple of weeks in July. 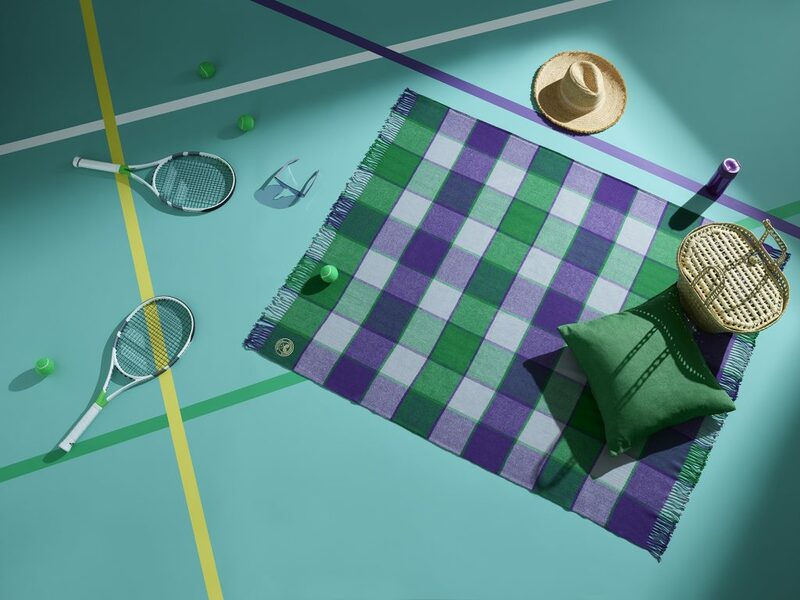 Being the oldest tournament of its kind in the world (since 1877), it is one of the four Grand Slams (major tennis tournaments) that take place annually – the other being the French Open (or Roland Garros), the Australian Open and the US Open. 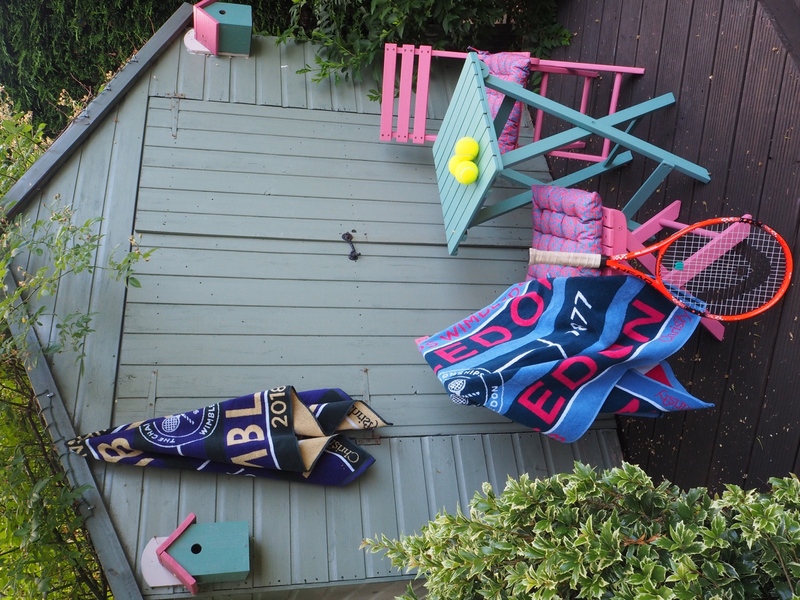 It was back in 1985, aged just 6 that I experienced Wimbledon for the first time. The matches were not broadcast live on Greek TV and as such we had to wait for months before the official Wimbledon video tapes (you know, those proper big cassettes!) were widely available to buy at your local video store. My family happens to own a Tennis Club. It was built in 1985. I practically grew up around tennis courts and possibly took my first steps there. 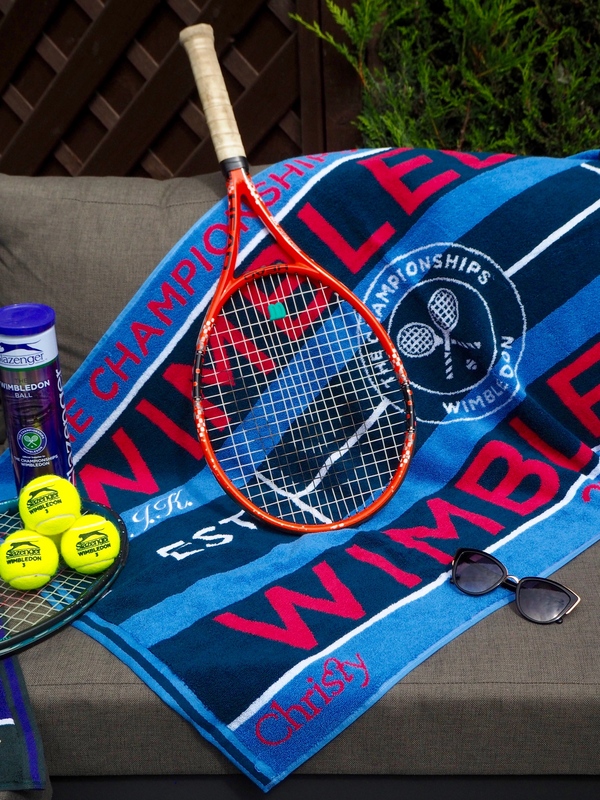 My father, a huge tennis fan, would play the superbly motivational Wimbledon tapes and we would watch mesmerised as the most important games in the Championships were relived on our TV, with the conclusion being the winners lifting the shiny trophies. Although I never played professionally (I quit tennis when I got into law school, having achieved a best ranking of no5 in Greece in the under 18s in 1996), I always enjoyed watching the Championships and felt the pain that players would go through, physical and emotional alike. 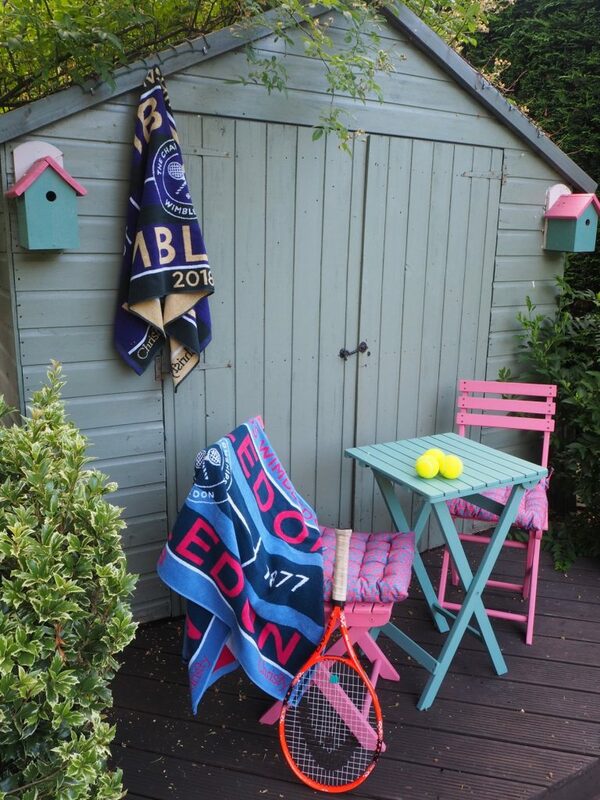 Here’s my take on Wimbledon. Tennis is very much a mental sport. There is only one person to rely on and that’s yourself. There’s also only one thing you need to beat: your own fear. Everything starts in your head: your opponent’s ranking (which many times doesn’t mean anything other than that they may have attended more tournaments than you); the weather (too cold, too hot, too humid, the sun’s in your eyes; it’s all in your head); how the crowd reacts to you (they like me, they like me not). There is no team-mate to back you up unless you’re playing doubles. 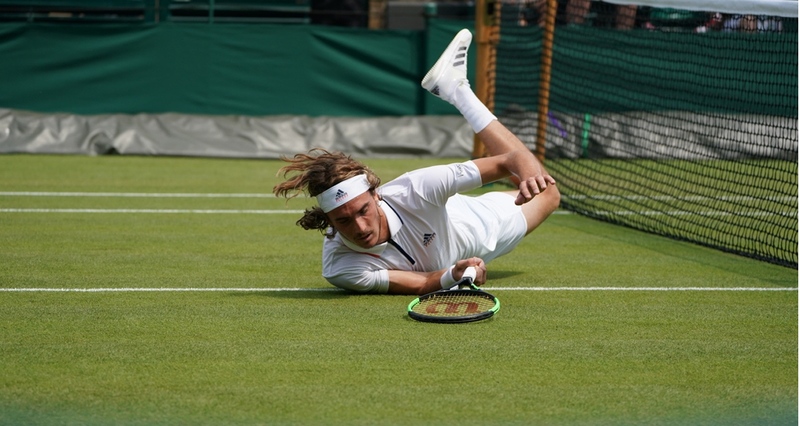 The speed of the game and the fact that you are being watched by so many people make tennis an extremely hard sport that puts players under a lot of stress – some just don’t like this level of attention at all (and you can tell by their awkwardness during interviews). 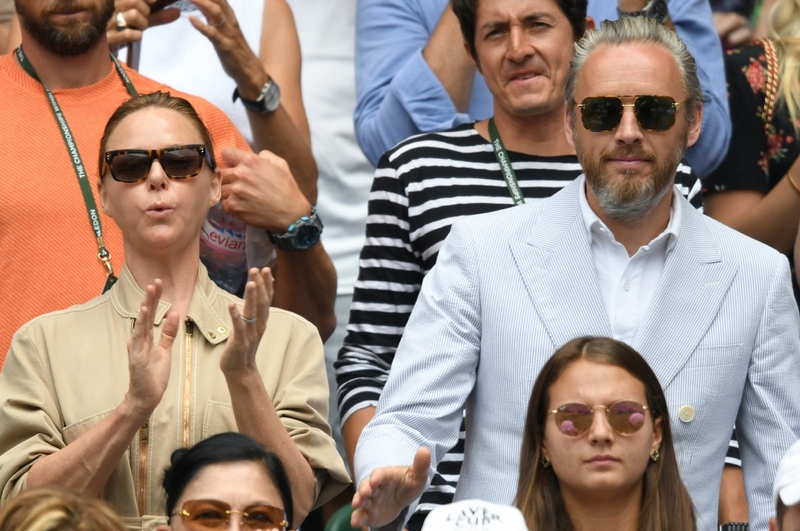 8 times Wimbledon champion Roger Federer is well known for keeping his cool under all circumstances. He will rarely vocalise his frustration and will only ever allow himself to break down once he is set to lift the trophy. To become a champion (in any sport) you need to be gifted in areas like emotional control and never-give-up mentality. The physical toll on the body means that unless you take good care of it, you will end up with injuries at some point in your career. In fact, many top players retire early due to their injuries, whereas some prefer to skip a Grand slam or a whole year, just to recover. 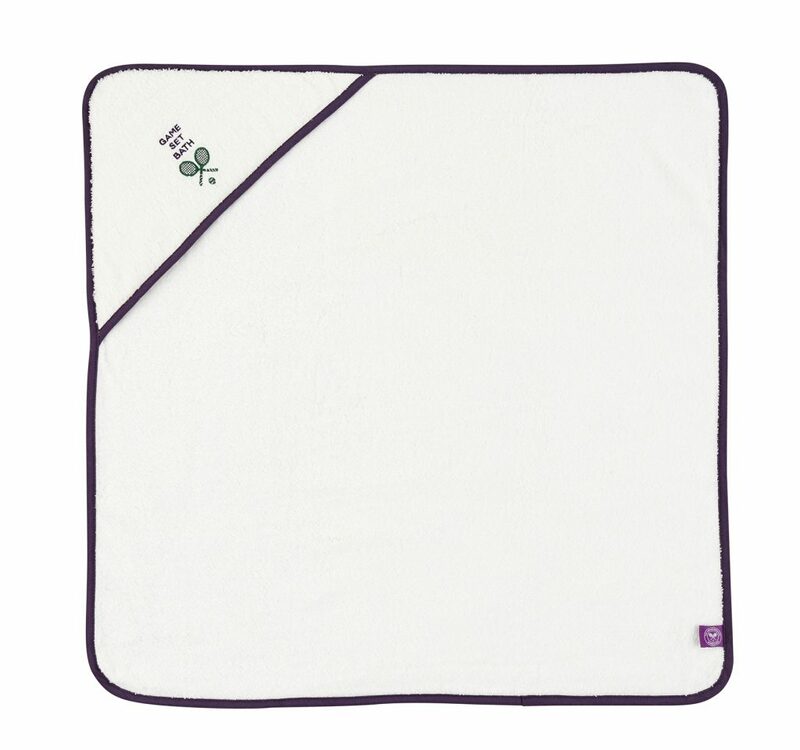 The good thing, when you’re sweating it out there in the courts, you can have a Christy Home towel to keep you at least stylish. 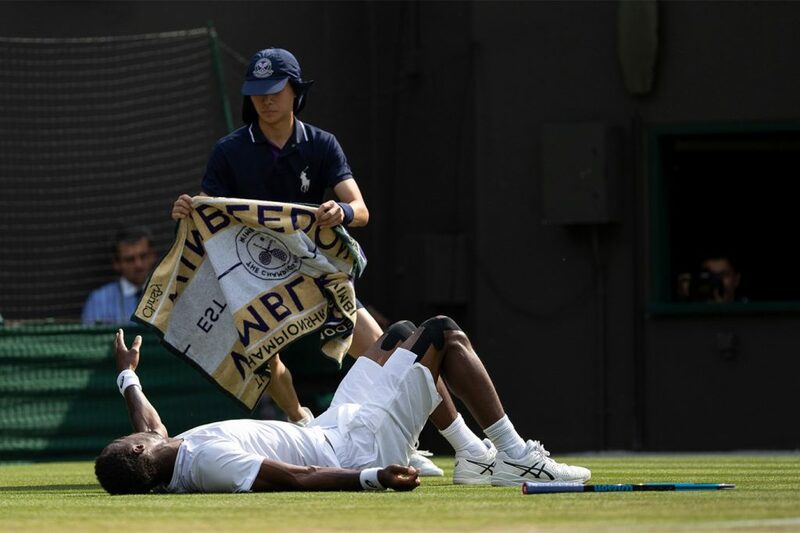 Everyone, EVERYONE, loves the underdog in Wimbledon. So, if you can win the crowd early on, then your game will be so much easier. 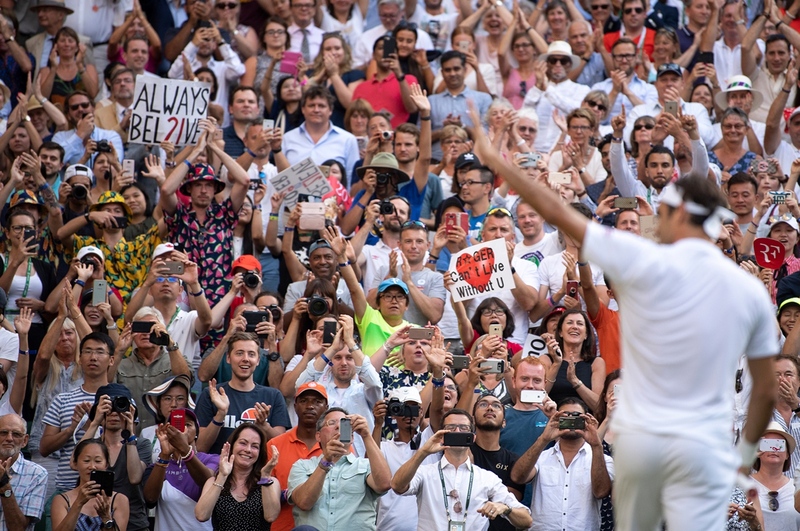 This year, Novak Djokovic complained when the crowd seemed to be against him while playing British Kyle Edmund. “A couple of guys pretended they were coughing and whistling while I was bouncing the ball more or less to the end of the match” he said in an interview. Over the years we have been watching for style tips from the celebrities that attend Centre Court games – from the Windsors to actors, singers and fashion designers. Did you know that until 2003 it was obligatory to bow/ do a curtesy in front of the royal box? Now it is only mandatory when the Queen attends. Every sport has its loyal fans, none better than Strawberry Man however. Chris Fava, propelled to SW19 stardom when spotted in Centre Court in a strawberry costume two years ago. He has been going along for years in various fancy dress costumes and his Strawberry costume is also part of the Wimbledon Museum itself. 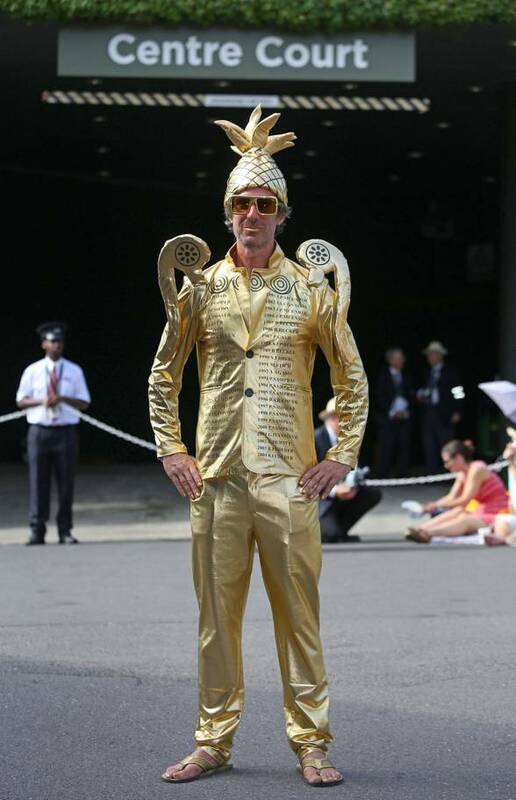 This year, however, he was almost not allowed in Centre Court when he showed up in an over the top Gold costume designed to look like the gilt cup handed to winner, until the Head of Security intervened to let him in. Phew. Strawberry drama averted! Who knows, maybe Chris will show up next year in a Christy towel costume? Just throwing ideas out there! 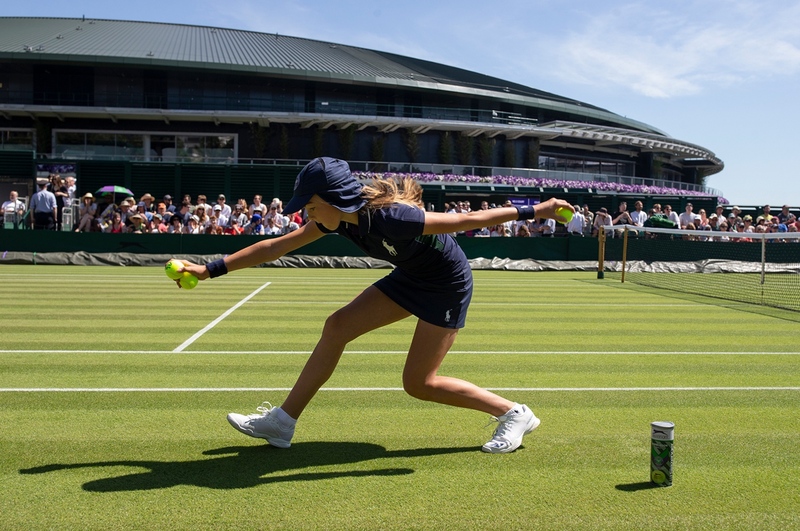 During The Championships, a final total of approximately 250 Ball Boys and Girls (BBGs) from around 700 applicants work at Wimbledon. Candidates come from local schools after they have been nominated by their headteachers and must pass a written test and a fitness test among others. Their average age is 15 years. 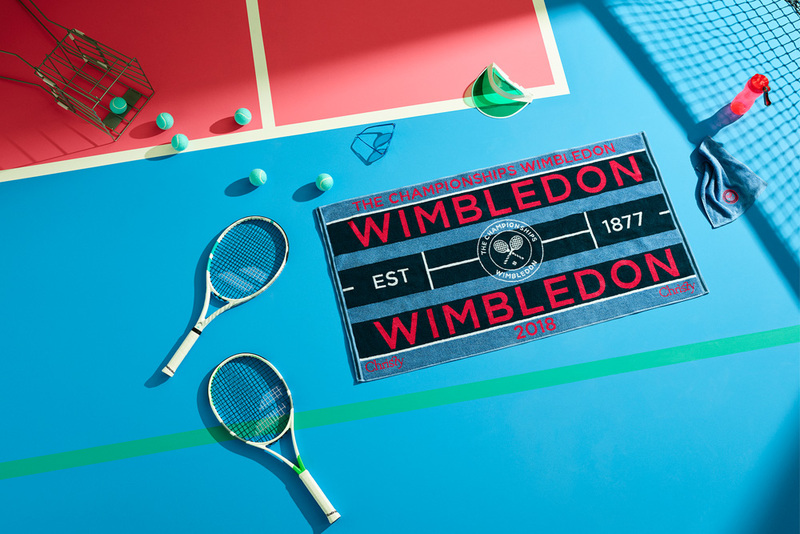 Training begins in February at AELTC. Each prospective ball boy/girl will train once a fortnight and also attend four brief court training sessions at the Covered Courts before Easter. Weekly training sessions last 2-2.5 hours with 50-60 children per session with four sessions per week. During the tournament, 54,250 tennis balls are used. Those not in use are even stored in a refrigerated container to keep them in tip-top condition. The record for the most Wimbledon titles in Ladies’ Singles belongs to retired Czech and American player Martina Navratilova with nine victories. 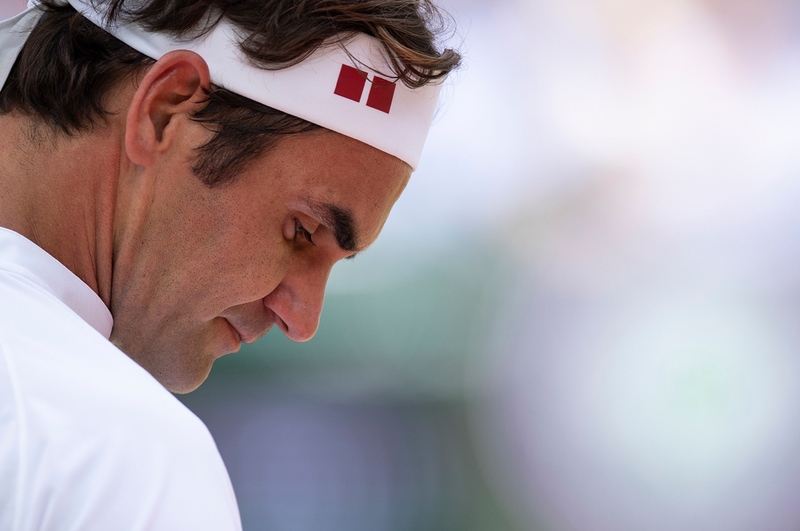 In Men’s Singles, the record for most titles is held by Roger Federer, who won the event seven times. Wimbledon champions are presented with a trophy but they don’t get to keep it! 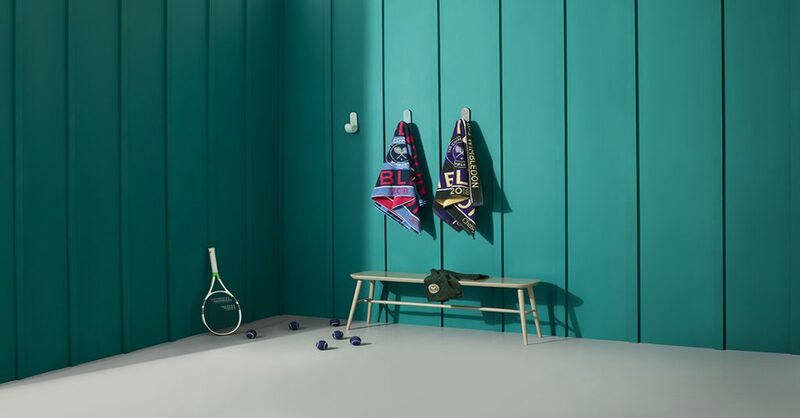 These remain on display at the All England Club’s museum and winners go home with a small replica. The longest match ever played at Wimbledon lasted 11 hours and five minutes and was played over the course of three days. American Venus Williams holds the record for the fastest women’s serve after smashing a tennis ball about 205 kph. Some tennis players let out a loud grunt while hitting the ball. The record for the loudest grunt during Wimbledon belongs to Maria Sharapova – It reached about 105 decibels – the equivalent of standing beside an accelerating motorcycle! 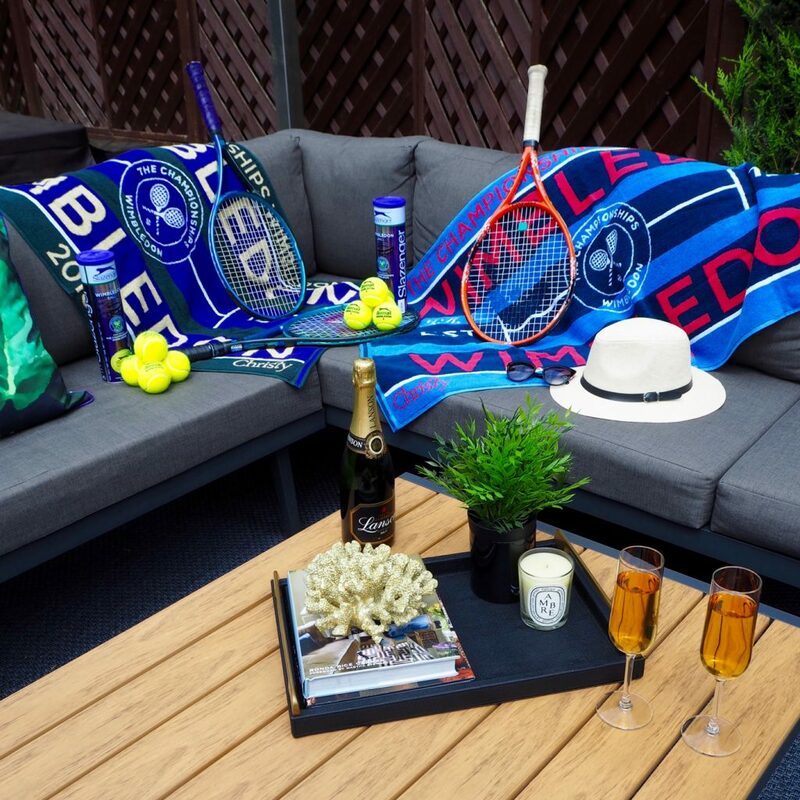 7,500 Wimbledon umbrellas would be needed to cover the same area as the retractable roof in Centre Court! 290 million: number of tennis balls that could fit into Centre Court with the roof closed. 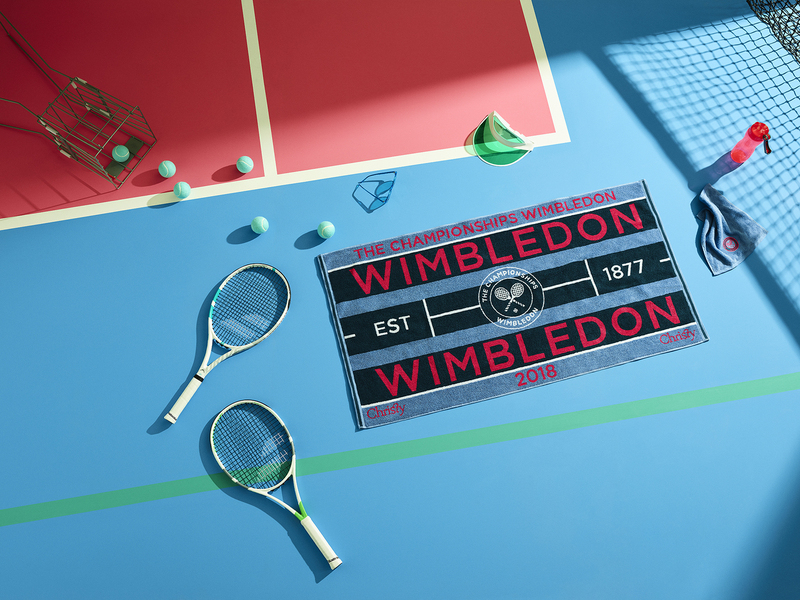 Slazenger is the official Wimbledon ball sponsor for over 100 years! 39,000 spectators in the Grounds at any one time. 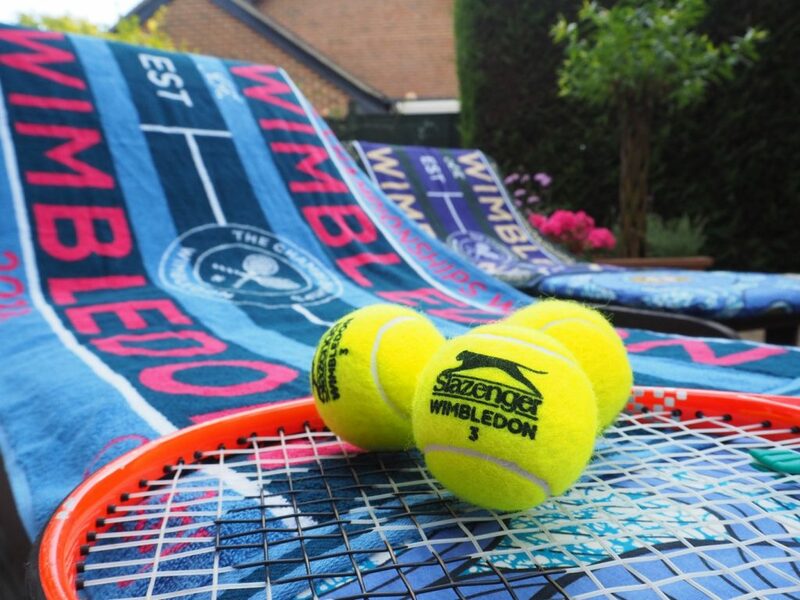 On average 166,055 portions of strawberries and cream will be consumed and 303,277 pints of Pimms will be drunk within the grounds of Wimbledon during The Championships! 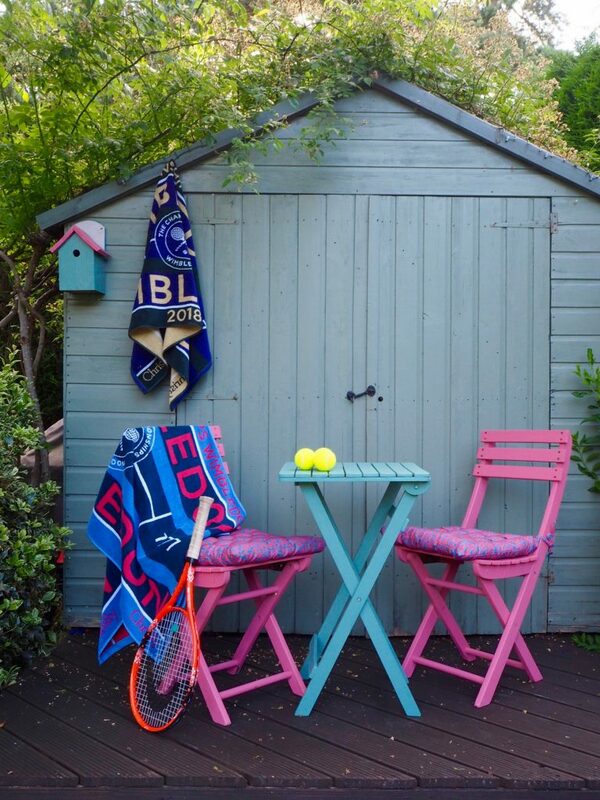 Shop the official The Championships, Wimbledon towels by Christy here.